A survey found that, for workers, the most common source of information about Social Security benefits was friends and family, at 46 percent. (Bloomberg) — Income from Social Security is the most important, if not the only, guaranteed asset many Americans count on for retirement. But behind the program’s seemingly simple promise — a certain amount of income for life — are some hellishly complex wrinkles that lead many people to get less than their maximum benefit in retirement. 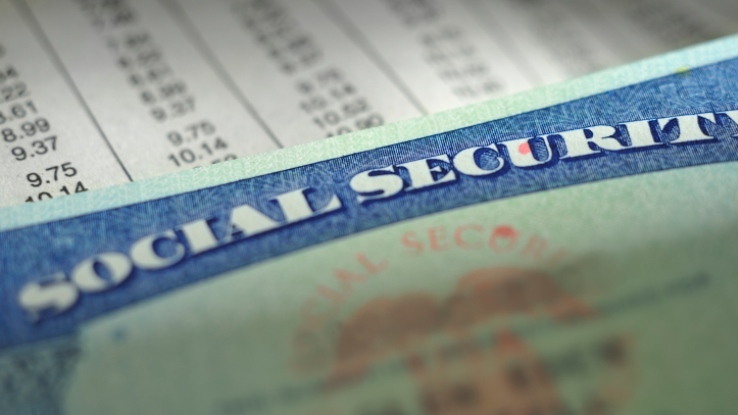 The confusion starts with even most basic rules of Social Security. Just under 40 percent of people don’t know that 62 is the earliest age at which they can claim benefits, according to a survey of 45- to 64-year-olds by the Financial Planning Association and AARP. The organizations surveyed 1,215 future Social Security beneficiaries on how much of their retirement income they expect Social Security to be (just under 40 percent figure it will amount to more than half) and on how well they understand the program. The survey also queried 1,279 certified financial planners about whether their clients had realistic expectations for, and a good understanding of, Social Security. Here are some of the biggest areas of confusion, and information to help you claim all the benefits you’re due after all those decades of payroll deductions. The good news: Close to 90 percent of those surveyed know that waiting until their full retirement age of 66 or 67, depending on their year of birth, gets them a bigger monthly check. But just 5 percent know just how much more they could get by waiting until they were 66 or 67 — a 25 to 30 percent boost, according to the survey. People were more likely to underestimate than overestimate the bump-up they’d get from waiting. Fewer people know that waiting until beyond their full retirement age would get them an even bigger monthly check. Just a third of pre-retirees know that they could max out benefits by waiting to claim until age 70. Fifteen percent think they need to wait until after age 70 to get the highest benefit. What 42 percent don’t know is that those benefits aren’t lost forever. In an excellent book on strategies for claiming Social Security, Get What’s Yours, by Laurence Kotlikoff, Philip Moeller and Paul Solman, the authors note that once you reach full retirement age, ”Social Security will repay you, in the form of permanently higher benefits from this age on, any dollars it earlier withheld from you.” And that means more cash flow for the rest of your life. If you were married to your spouse for 10 years or more and are unmarried when they die, you can claim on your ex-spouse’s work record, assuming those benefits are higher than yours. Of respondents who had ever been married, about 50 percent know they can collect benefits based on their spouse’s work record even if that spouse is alive. Of those who generally understand how widow benefits work, though, 20 percent aren’t aware that the level of their widow benefits is tied to the age when their spouse began collecting benefits. To maximize potential benefits for, say, a wife should a husband passes away, the husband would wait until age 7o to claim Social Security. Also important to know: To get the biggest benefits, the surviving spouse must wait to claim until his or her own full retirement age. For workers, the most common source of information about Social Security benefits was friends and family, at 46 percent. Next up was the Social Security Administration, at 45 percent. The survey makes it clear that friends and family might actually be as confused as you are, and the Social Security Administration’s lack of resources can limit its helpfulness by phone. Its website, however, is useful, and if you set up a “My Social Security” account you can get an estimate of your benefits. Aside from Get What’s Yours and the help of a smart financial advisor, resources include tools on the websites of AARP and the National Academy of Social Insurance and the flattering Social Security for Dummies. Whatever resource you use, it’s smart to cross-reference the answer with some others. Thirty percent of pre-retirees thought they couldn’t collect Social Security retirement benefits until they were 63 or older. An optimistic nine percent thought they could claim benefits before age 62. Ninety-four percent of certified financial planners expect that their clients, who are a fairly wealthy demographic, “will rely on Social Security benefits for 50 percent or less of their retirement income,” according to the survey. Did Bush or any president borrow money from Social Security?